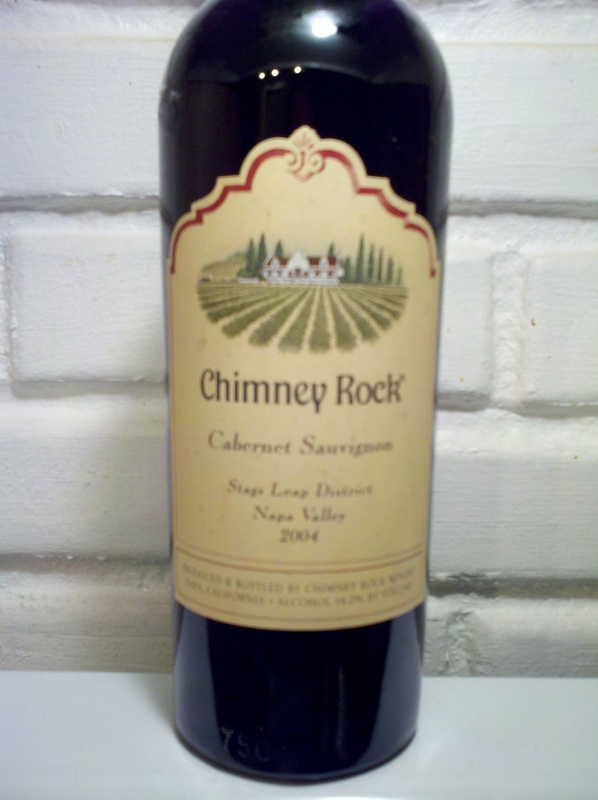 2004 Chimney Rock Cabernet Sauvignon – Napa Valley/Stags Leap District | Wine Splash! Anticipation is one word we would use to describe our thoughts about this wine. We had this wine in the cellar for over 4 years and felt it was time to release the genie from the bottle! The wine was deep garnet in color with a ruby rim. Aroma’s of fresh blackberries, black cherries, cocoa, & a hint of violets aroused my senses! The mouth feel was full bodied, velvety, with a soft tannin structure. Vibrant flavors of blackberry, ripe black plum, mocha, and cedar. As the wine opened up a bit more, flavors of vanilla and a hint of herb became more pronounced. Lush and complex with a long finish. Pair this wine most red meat dishes, pasta with a tomato meat sauce, medium to strong cheeses, or a portobello mushroom burger. Well, this is one genie that is not going back into the bottle. This vintage should age well into 2015 but it is tasting wonderful right now! We really enjoyed this wine and we give the 2004 Chimney Rock Stags Leap Cabernet Sauvignon a 92 point rating! We felt it had all the right flavors with excellent structure and balance. If this genie had given us 3 wishes, we would have wished for more! And World Peace too, of course. WineSplashing! !